Not many albums out there that ravished me immediately from the start, but The Velvet Underground & Nico (1967) from the same band and singer was one of them. 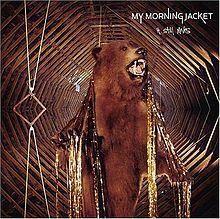 The droning guitars and the strange, fascinating lyrics made this album incomparable to any other album I knew at that moment. 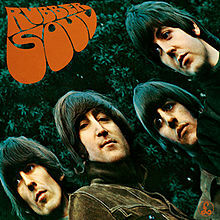 It didn’t take long before I started to explore all other works of the band, and I loved it without an exception. 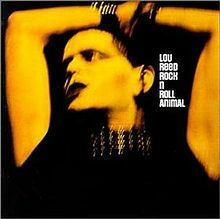 However, it somehow took me way more time to appreciate the solo work from one of its main members: Lou Reed. Reed comes from Brooklyn, New York, where he met his Velvet partner John Cale (bass guitar and other instruments) in 1964. Cale liked Reed’s guitar playing, as he heard him playing ‘Heroin’, one of the songs that would appear on the debut album (mentioned above) of the band those guys would soon form together with Sterling Morrison (guitar) and Maureen Tucker (drums). As a band they quickly drew the attention of pop art guru Andy Warhol, who added his protégé Nico (a German fashion model and singer) to the line-up. The resistance of Reed against this change resulted in the title of the debut album. The Velvet Underground would continue to make albums with that revolutionary sound on it, as would Reed do as a solo artist. But in fact there’s no better way to run over these most successful years of this man than by listening to his magnificent live album from 1974: Rock ‘n’ Roll Animal. The original version of this album contains five songs stemming from different periods of his career, all performed in a blazin’ glam/hard rock set at Howard Stein’s Academy of Music (New York). Just like artists as David Bowie and Roxy Music, Reed was in the middle of his androgynous period back then, wearing leather clothes and nailed leashes and having his face greasepainted. But above all: Rock ‘n’ Roll Animal would become his best-selling album. The album kicks off with a delicious, elaborate guitar intro. After only one minute you will already catch yourself playing the air guitar as if you were Reed himself. After a while you will recognize the tones of ‘Sweet Jane’, one of the Velvet’s greatest hits, from the album Loaded (1970). Reed was the only songwriter on this album (Cale had already left the band) and would leave the band before the album was even released. 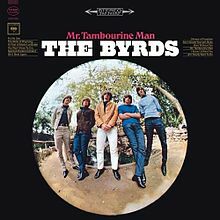 The goal of this album was already to get some airplay on the radio, but it turned out to be even completely edited without the consent of Reed. Maybe this is the reason that Reed chose two songs from the album and played them in adjusted style, with ‘Sweet Jane’ being a real hard rocker here. After this 8 minute opener Reed continues with a pumping glam rock version of ‘Heroin’, adding 6 minutes to the original 7 minutes track on The Velvet’s debut. As the title more or less predicts, this song is about the use and misuse of heroin. As Reed did on more songs on this album that handle with themes like drugs and sadomasochism, he gives an objective description without taking a moral position on the subject. The song is also live still characterized by its phenomenal (gradual) increase in tempo till it reaches a tearing crescendo. On side B we proceed to the second Velvet album White Light/White Heat with the eponymous track. Nico is meanwhile exiled from the band and they continue to make ‘songs’ about controversial themes like travesty and trans sexuality. The band also keeps searching for ways to renew their sound, well portrayed for example by the song ‘The Gift’, which contains the recital of a short story told by John Cale on the left speaker channel while an instrumental rock song is played at the same time on the right channel. The song played here by Reed is the fast, aggressive opener of the album, about the sensations provided by the use of methamphetamine. What follows is the only track from one of Reed’s solo albums: ‘Lady Day’, which is the second track from his third solo record Berlin. Reed had his break-through as a solo artist with his second album Transformer. A great role on this album was foreseen for Mick Ronson, the guitarist of David Bowie, as co-producer (next to Bowie himself) and session musician. It brought Reed lots of international success, but he wasn’t fulfilled with this. That’s why he declined to make another album with Bowie, followed by the release of Berlin as follow-up to Transformer. This album is a kind of concept album about a drug addicted couple from Berlin, characterized by its heavily orchestrated parts and contributions by top musicians like Jack Bruce (Cream) on bass and Steve Winwood (Traffic, Blind Faith) on organ and harmonium). ‘Lady Day’ is told from the prospective of Jim, one of the characters on the album. He tells us about his concern about the fact that he’s losing control over the life of his girlfriend Caroline, who’s going on a razzle in the obscure Berlin bars. The final track is another extended (10 minutes) version from a former Velvet hit: ‘Rock ‘n’ Roll’. The song is also from the album Loaded and is a true ode to rock music. Reeds tells the story of a girl named Jenny whose life was saved by Rock and Roll, in a version full of improvisational guitar licks. During this track you really can’t keep sitting still and you absolutely have to grab your air guitar for the last time before throwing it in the delirious crowd.